It’s Kiwanis Family FUN Day at McWane! 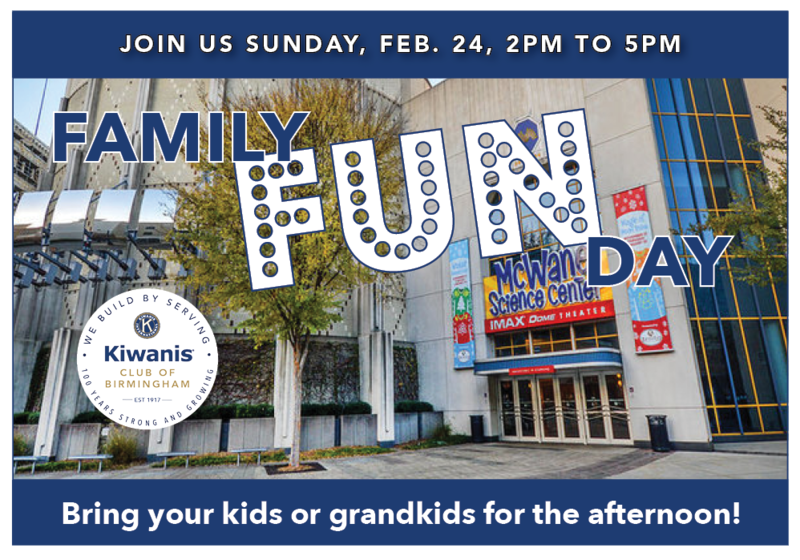 Bring your kids or grandkids to McWane Science Center Sunday, Feb. 24, from 2pm to 5pm. Don’t miss this special day for Kiwanians and their families. Please RSVP below. How many guests will be coming with you?